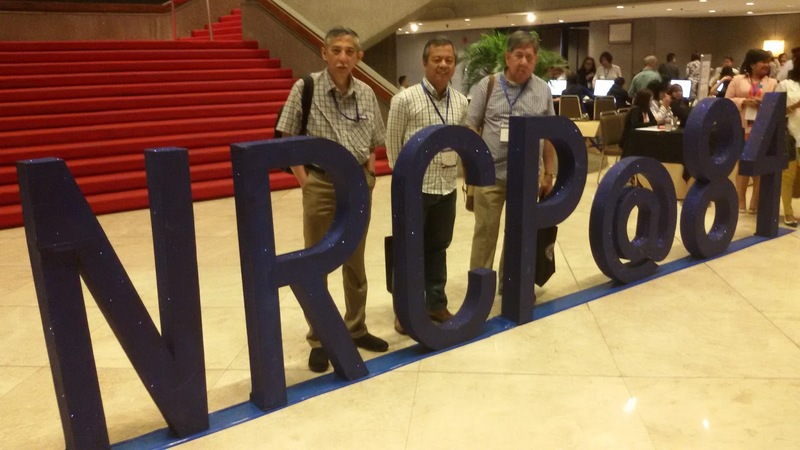 DLSU GCOE faculty, Dr. Alexis Fillone and Dr. Andy Oreta, who are regular members of the National Research Council of the Philippines (NRCP) attended the NRCP Annual Scientific Conference & 84th General Membership Assembly held at the PICC on 22 March 2017. The theme of the event was "Philippine Development: Foregrounding Ethical and Moral Values." 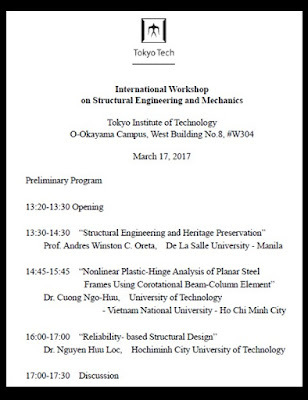 Prof. Dr. Jonathan Dungca, Dean of GCOE was invited as a speaker in the International Workshop on Geotechnical & Geoenvironmetal Engineering for Sustainable Society held on March 21, 2017 at the Tokyo Institute of Technology. The Venue was the Meeting Room on the first floor of Midorigaoka Building No. 5. The host professor was Prof. Jiro Takemura. 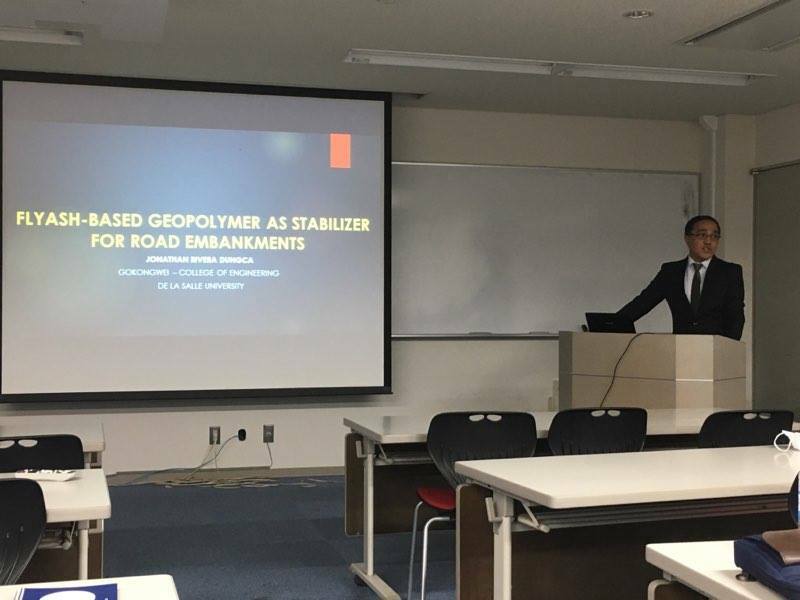 Prof. Dunca presented his research on "Flyash-based Geopolymer as Stabilizer for Road Embankments." 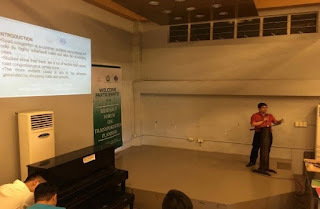 Saint Louis University held a Research Forum on Transportation Planning last March 19, 2017(Sunday) at the Otto Hahn Building, Saint Louis University (SLU), Baguio City. 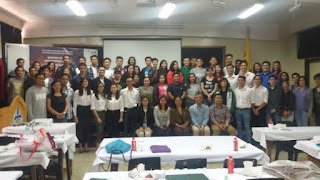 The forum was attended by a total of 72 participants with students and faculty coming from various universities in Baguio and Pangasinan such as University of the Cordilleras, Pangasinan State University, and Saint Louis University. Officials of the local government units (LGU) of Baguio city also graced the forum with their presence. 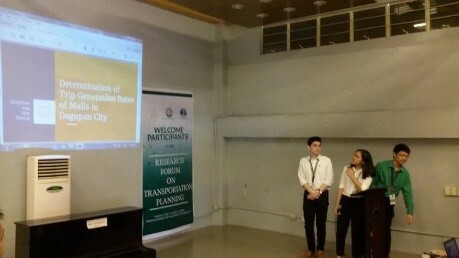 The forum presented numerous transportation studies that are currently being conducted in Baguio city by undergraduate students of De La Salle University and offshore graduate student scholars funded by the Commission on Higher Education (CHED). The participants were welcomed by SLU – School of Engineering and Architecture (SEA) Dean, Dr. Cynthia Posadas followed by SLU professor, Dr. Mark de Guzman. President of the Transportation Science Society of the Philippines and DLSU civil engineering faculty, Dr. Alexis Fillone, also presented a transportation planning tool, DYNAMEQ, and its application to Baguio City. Dr. Fillone is the thesis adviser of both Engr. Ranosa and Engr. Baldo. The forum yielded fruitful discussions and the LGUs were happy with the ongoing transport research studies being conducted in their city. The exposure of transportation studies gave students a better understanding of the transportation planning field and made them interested in the field of transportation planning and engineering. The forum was sponsored by the School of Engineering and Architecture of UPang, the Center for Engineering and Sustainable Development Research (CESDR) of DLSU and the Transportation Science Society of the Philippines (TSSP). 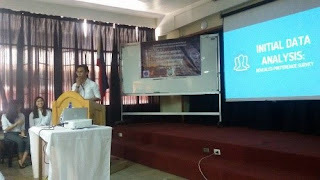 The first ever Research Forum on Transportation Planning was held in the PHINMA University of Pangasinan (UPang) last March 17, 2017. It was attended by third and fourth year civil engineering students of the University taking up Surveying and Highway Engineering, respectively. Students and staff of De La Salle University from the transportation engineering division presented their ongoing transporation studies for Dagupan City. 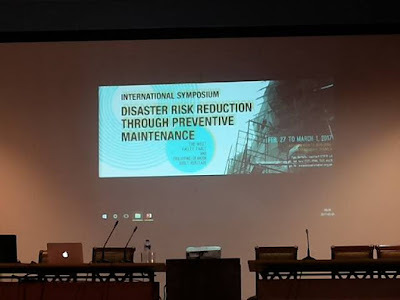 President of the Transportation Science Society of the Philippines (TSSP) and DLSU civil engineering faculty, Dr. Alexis Fillone, was also present in the event and gave an overview of the forum. In addition, the Dean of the College of Engineering for UPang, Engr. John Zamora, presented his ongoing graduate thesis, being part of the Commission on Higher Education offshore graduate program with Dr. Fillone as his adviser. 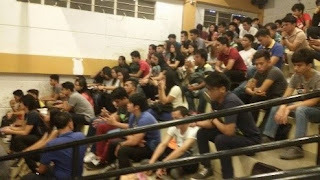 The focus of the forum was to provide insights and ideas to students who wants to pursue transportation planning and engineering as their chosen field of specialization in civil engineering. The forum was considered to be a success as many students are now interested in the transportation field. The opening of two fields of specialization major in structural engineering and transportation engineering will start in UPang next year (2018). 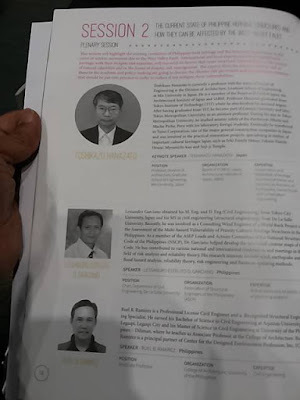 The forum was sponsored by the School of Engineering and Architecture of UPang, the Center for Engineering and Sustainable Development Research (CESDR) of DLSU and the Transportation Science Society of the Philippines (TSSP). 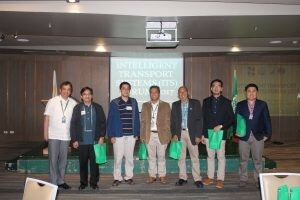 Last February 17, 2017, De La Salle University - Manila hosted the Intelligent Transport Systems (ITS) Forum 2017 at the 5th floor Henry Sy Sr. Hall. 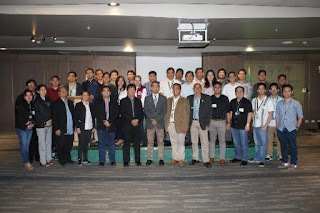 Sponsored by the Philippine Council for Industry, Energy and Emerging Technology Research and Development of the Department of Science and Technology (PCIEERD-DOST), DLSU-Manila, UP-National Center for Transportation Studies (NCTS), and Transportation Science Society of the Philippines (TSSP), the forum was attended by representatives of different agencies in public (DOST, DPWH, MMDA, DOTr), local(MTRO, MTPB), private bus companies, and institutional (UP, DLSU, MIT) sectors. 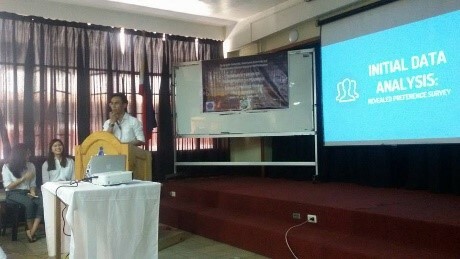 In the afternoon, workshops were held discussing the DOST roadmap and the ITS masterplan. 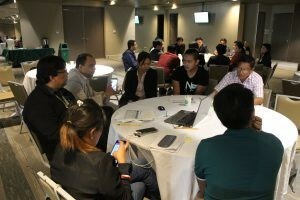 Representatives from DOST, DPWH, MMDA, DOTr, the academe, and privates industries were part of the discussion. The workshop was a success with many fresh ideas and outputs developed. A total of 73 people participated in the forum including faculty, staff and students from DLSU. 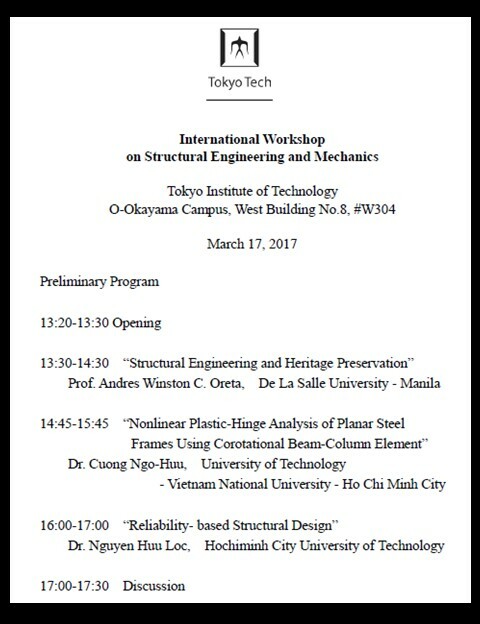 Prof. Andres Oreta was invited to be one of the resource speakers in the International Workshop on Structural Engineering and Mechanics at Tokyo Institute of Technology held on March 17, 2017. 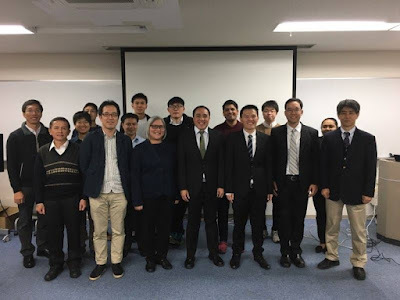 The host professor in this event was Prof. Sohichi Hirose. Principles and Definitions on Heritage Preservation: This section answers the basic question, “Why do we need to preserve our heritage structures?” and define special terms and principles related to heritage conservation such as Preservation, Restoration, Reconstruction, Reuse and Remodeling. Impact of Natural Hazards to Heritage Structures: This section presents as an example the impact of the Bohol Earthquake in 2013 to heritage churches and RC Buildings. Observed damages of the structures were presented. 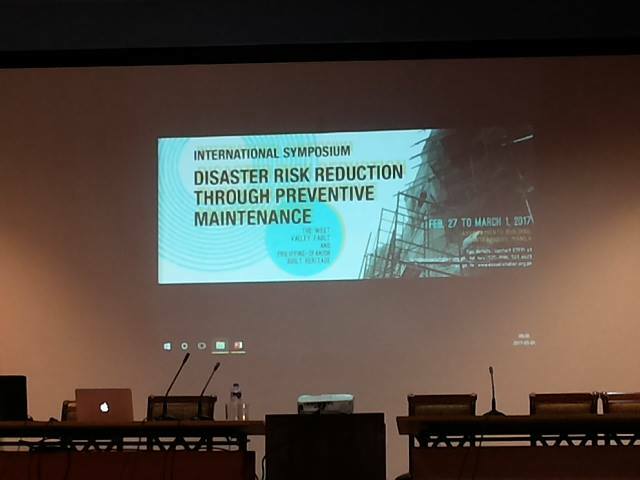 Role of Structural Engineering in Heritage Preservation: This section presents a framework where Structural Engineering is the link between Heritage Preservation and Disaster Risk Reduction. 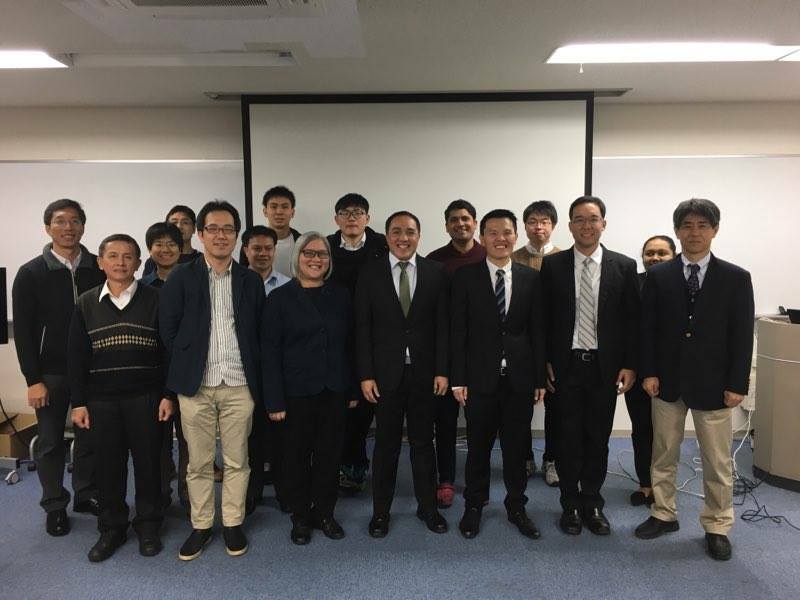 Research on risk assessment and structural assessment of heritage structures conducted by the author and his students were presented. Dr. Lessandro Garciano (CE Dept. 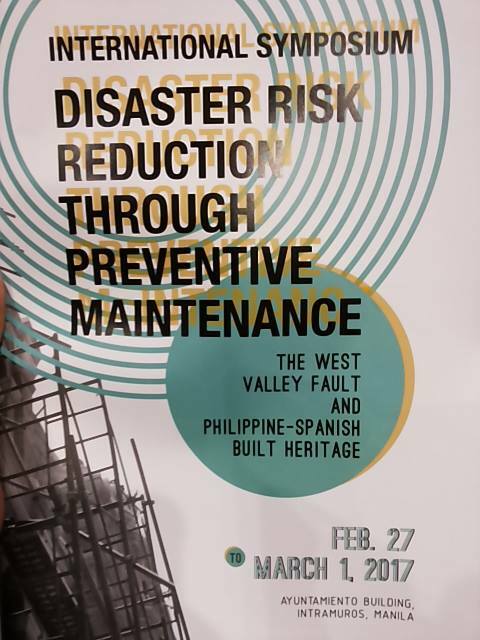 Chair) and Dr. Andres Oreta (Prof of CE Dept) were invited as resource persons in the International Symposium on Disaster Risk Reduction Through Peventive Maintenance : The West Valley Fault and the Philippine-Spanish Built Heritage held on Feb. 27-Mar 1, 2017 at the Ayuntamiento Building, Intramuros, Manila. 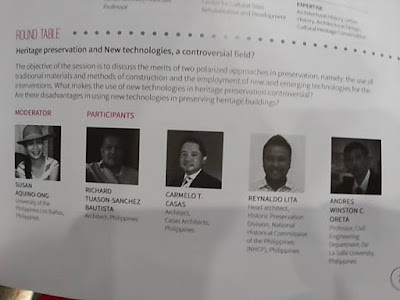 The symposium was organized by the Escuella Taller and the UP College of Architecture with the support of the NCCA, Spanish Embassy in the Philippines and the Ministry of Education and Culture of Spain. 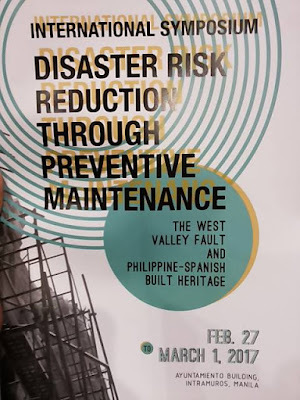 Dr. Garciano gave a talk at the Session 2 (The Current State of Philippine Heritage Structures and How They can be affected by the WVF) and was also discussant in the Round Table on Spanish Colonial Heritage, How to Protect it effectivley? Joining Dr. Garciano in this session are Carmen Bettina Bualaong (OIC Executive Director, Escuella Taller), Engr. 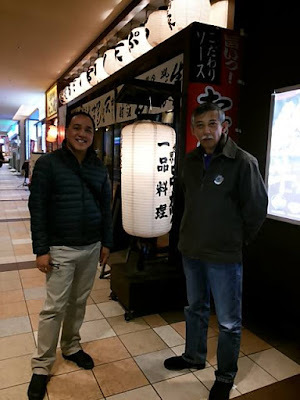 Ruel Ramirez and Dr. Renato Solidum (PHIVOLCS Director). 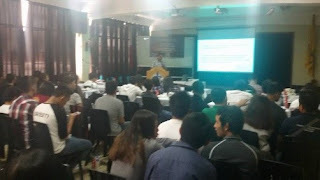 In the Round Table session, Dr. Garciano was with Jeremy Barns (National Museum(, and Engr. Ramirez. 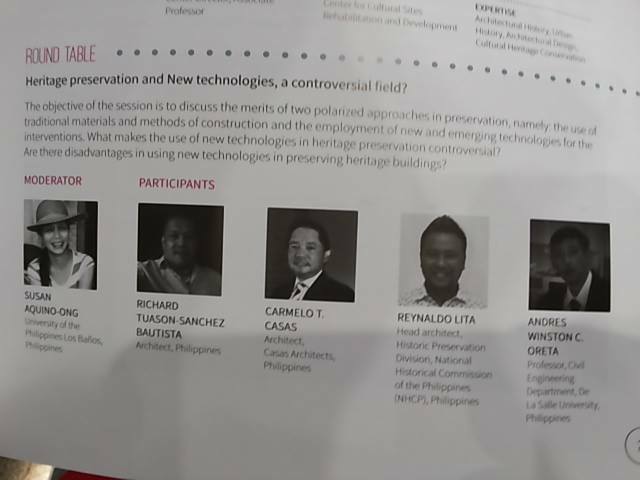 Dr. Oreta, on the other hand, was a discussant in the Session 5 Round Table Discussion on Heritage Preservation and New Technologies, a Controversial Field? The panel was composed of Arch. Richard Bautista, Arch. Carmelo Casas, Arch. Reynaldo Lita (NHCP) and Oreta. The moderator was Arch. Susan Aquino-Ong.